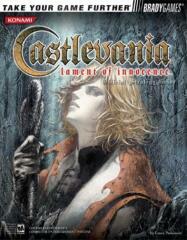 BradyGames' Castlevania: Lament of Innocence Official Strategy Guide provides a comprehensive walkthrough to lead players through the entire adventure. Detailed monster lists and boss strategies. Complete spell fusion coverage, plus devastating combo and moves lists. Tips for discovering magic tomes, all hidden collectibles and more!